Savvy LinkedIn users know the value of the circles of connections–why my first-degree contact has first-degree contacts, who are now my second-degree contacts, the contacts of whom are my third-degree contacts. Some become LinkedIn Open Networkers, or LIONs; some keep their contacts more or less private. 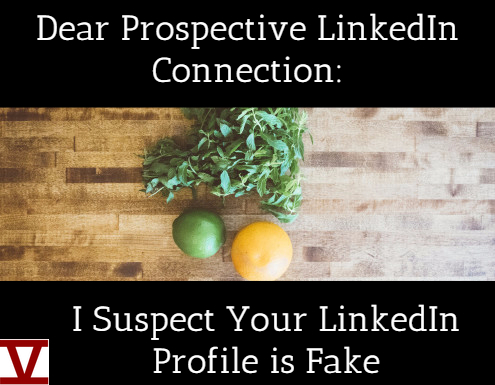 Wherever you are on the spectrum, you need to know that despite LinkedIn’s best efforts, some profiles are fake. Be wary of these false profiles, so you don’t get sucked in to their scams. Your name is in all lower-case letters. I’m not sure why improper capitalization correlates to a fake LinkedIn profile, but it does, anecdotally speaking. No photograph or headshot. Although not having a current photo is not necessarily a reason to decline to connect with a prospective contact, the fact that a profile has no personal or professional information leads me to believe that I’m reading a fake LinkedIn profile. The LinkedIn profile does have a photograph, but when a quick search of that photo on Google’s image search function yields some alarming search engine results. Typically, these images show that these images are being posted to multiple profiles, none with the same name. Sometimes they come from paid image sites. You need to judge whether the photo is credible. The text of the LinkedIn profile is thin. The person’s education is unlikely, given the person’s location and current profession. The work history is spotty, unusual, or unrelated to anything else in the profile. There is no description of the person’s employment, and there is no summary statement explaining the individual’s career path and what he or she offers the marketplace. The LinkedIn profile has fewer than 50 contacts. Of course, every new entrant into LinkedIn has zero contacts–this is hardly the worry. A new profile with legitimate content and built out appropriately raises no red flags. But if the profile has few connections and some or all of the foregoing issues, there is high probability for this to be a fake LinkedIn profile. Let’s take this to the streets and evaluate a connection request I received yesterday. The email included the generic request for connection. While this isn’t a huge red flag necessarily, it’s never a great idea to generically invite someone to connect. But a fake profile “owner” can’t invite someone authentically, with a real request, because there’s no actual network to invite someone to. Typical connection request from a fake LinkedIn profile. 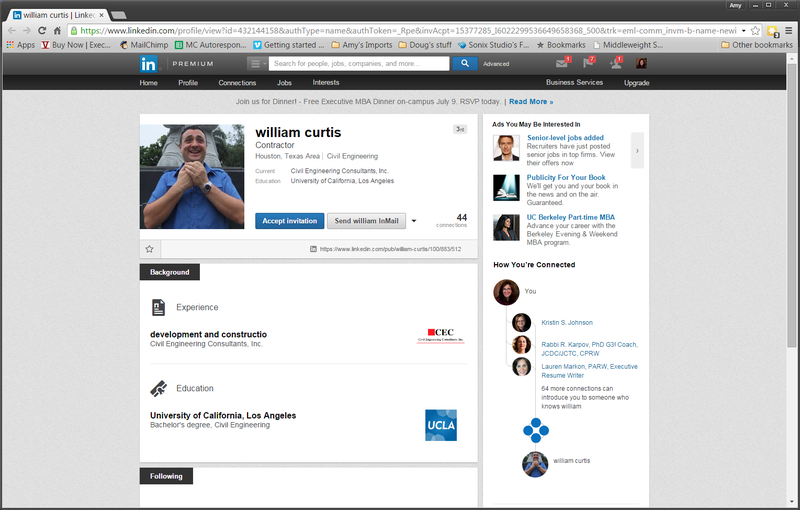 Example of a Fake LinkedIn Profile. The person’s name is in all lower-case letters. There is a photo today, but there wasn’t yesterday, when I first viewed the profile. The photo is not of the profile “owner.” I saved the photo and searched for it on Google Images. As I suspected, the image is someone’s private photo (as posted on Flickr, of an individual celebrating Manila Day). Clearly, this is not a professional photo of the profile “owner,” as the individual named in the private photo is different. The content of the profile is thin, misspelled, and not descriptive. Typically, profile owners write their actual job titles, not a vague description, and savvy LinkedIn users fill out their complete profiles. Moreover, the place of employment is listed on the company’s web site as Iowa. The profile owner lists Houston, TX, as his place of employment. The profile has <50 connections. You might say that none of these faults in this particular LinkedIn profile definitively indicate that the LinkedIn profile is fake. You’re probably right–any one of these, independent of the others, is not cause for particular alarm or disconnection. However, taken together, the whole is definitely greater than the sum of its parts. I’m 99 44/100% sure that this is a fake LinkedIn profile. It lacks authenticity and honesty, and doesn’t even attempt to represent a real human being. There are many resources on how to write a terrific LinkedIn profile. Rather than describe the many ways to engage in an effective LinkedIn strategy, I’m going to offer one piece of valuable insight: Be authentic. To design and implement an effective LinkedIn profile, not only do you need to complete the fields within it appropriately, you need to demonstrate that who you are online is who you are in person. The reason fake LinkedIn profiles raise eyebrows–if not all-out alarms–is that there is no substance behind the skimpy text. What is your substance, and how does your online presence match your true self in the eyes of your audience? Want to report a fake LinkedIn profile? LinkedIn’s customer service can help. 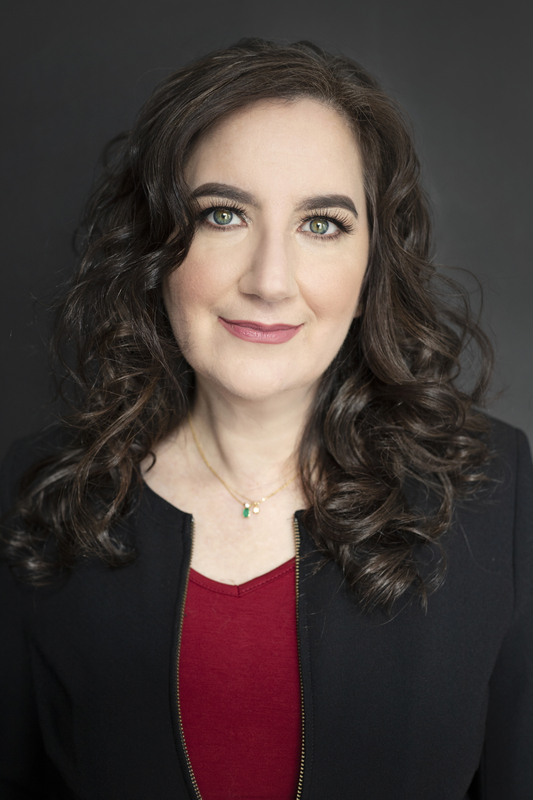 Connect with me (Amy L. Adler) at http://linkedin.com/in/amyladler. Have you ever wondered where you could go from your current job? 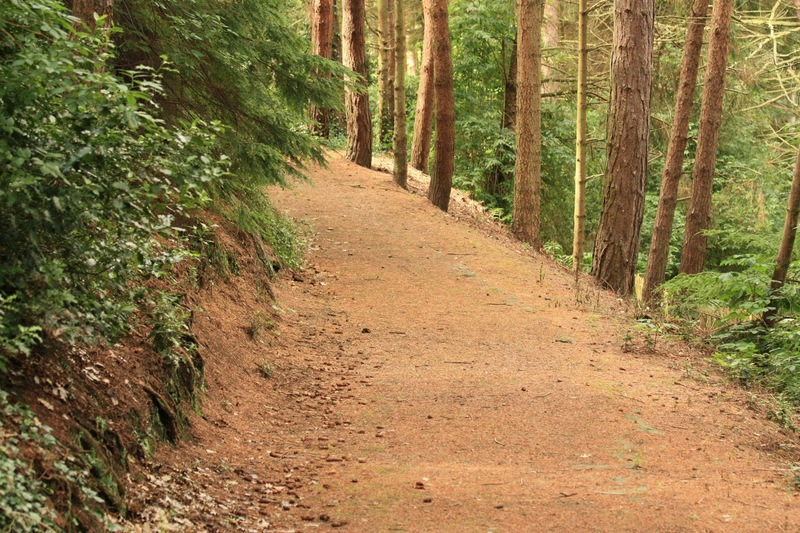 Are you concerned that your career path is unclear, and you do not know what your next position might be? Use LinkedIn’s “Past Company” built-in search feature to learn where your company’s former employees landed to help you craft your own path. Start by logging into LinkedIn. Now click on the “Advanced” link, to the right of the search bar at the top of your screen. A number of search options beyond the simple search become visible. The one you need to look at is called “Past Company,” and there is an “+Add” icon that you can click to add your current company’s name. You can add your own title, a different title, or prospective title. You also can select the degree of connection (you might not specify this at this point). Now scroll down and click the blue “Search” button in the left sidebar. The list that results from this type of search yields profiles of your connections — first through third, depending on your choices — who used to work at your company. Explore these profiles to see what types of roles they had, what they did after that, and what their most recent positions are. From a selected sample of these profiles, you might be getting a better picture of the career paths your former colleagues have taken. LinkedIn’s new “How You Rank Among Your Connection” function stacks your profile against those of all of your first-degree connections, according to the number of profile views yours is receiving compared to all of theirs. I described this new feature in detail in “Compete with Your LinkedIn Network for Profile Rank.” I was astonished by the overwhelming response to this post. Therefore, I am digging deeper now into the value of LinkedIn’s gamification of your profile. My initial impression of the new metric is that it can do more harm than good for legitimate job seekers. See Compete with Your LinkedIn Network for Profile Rank for my initial thoughts on LinkedIn profile view rankings. First and foremost, you are a job seeker, not a gamer trying to “win” in any arena other than the employment marketplace. To reduce your very real job search to a game is uncivil at best. Correct use of LinkedIn is essential, but for you to be focusing on an artificial competition imposed on you by the platform detracts from your true purpose in using it–building essential connections that drive your career transition. 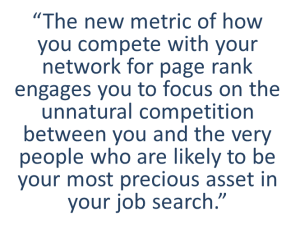 The new metric of how you compete with your network for page rank engages you to focus on the unnatural competition between you and the very people who are likely to be your most precious asset in your job search. Second, just because LinkedIn can measure something does not mean that the measurement has inherent value. Let us assume that your network is composed of one of three types of connections. On the one hand, you have those who can help you in your career transition but who could gain nothing otherwise from being your connection, such as senior executive leadership if you are a newer entrant to the employment marketplace. (Or you might be that leader who enjoys connecting with more junior players because you value the process of unearthing exceptional talent.) Next, you have those who can only gain from including you in their network, such as recruiters and those seeking to hire someone like you. Last, you have people professionally similar to you in industry and job function. In slightly different terms, the first category is composed of people similar to you but to whom you pose no competition in the employment marketplace. The second category is composed of people who need your connection on some level (or vice-versa). The last category is composed entirely of connections with career histories, job functions, and experiences substantively similar to your own. Unless your profile is actually composed 100% of people in the third category, the idea of ranking yourself against your every single one of your first-degree connections is baseless. There is truly no point in comparing your rank for profile views with, let us say, that of your grad school professor’s, that of your accountant’s, or that of your company’s CEO. The comparison measures two like things–the number of profile views you each receive–but relationship might be more apples-to-oranges than apples-to-apples than is immediately obvious. Let us take a step back and look at this a different way: If we construct an artificial environment in which your first-degree connections are 100% like you, then the comparison metric makes sense. Theoretically, at one time or another, or even right now, you will be competing with this group for the scarce resources of informational interviews, knowledge of job opportunities, job interviews, and job offers. 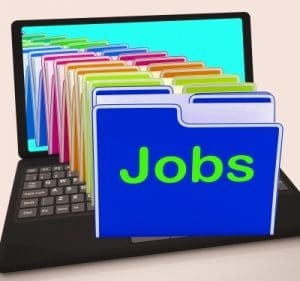 Of course, savvy job seekers connect with people across the three types, because all can influence and improve his or her success in the employment marketplace. Another critical problem with the gamification of your LinkedIn profile is that the comparison of profile views across your network encourages you to tweak your profile the way you might tweak your resume. Of course, there are very good reasons to consistently build a robust LinkedIn profile, and every participant on the platform should work hard to ensure that the profile represents the professional brand. However, tweaking for the sake of “beating” the competition has no value, given the fact that despite LinkedIn’s best efforts, your profile will never replace your resume. There are going to be those who disagree with me; perhaps those in LinkedIn’s leadership will argue to the contrary, given the recent emphasis on applying for jobs posted on the platform (a revenue source for LinkedIn, clearly). However, smart job seekers know that not all job postings within an industry or job function are the same, so some tweaking is essential. 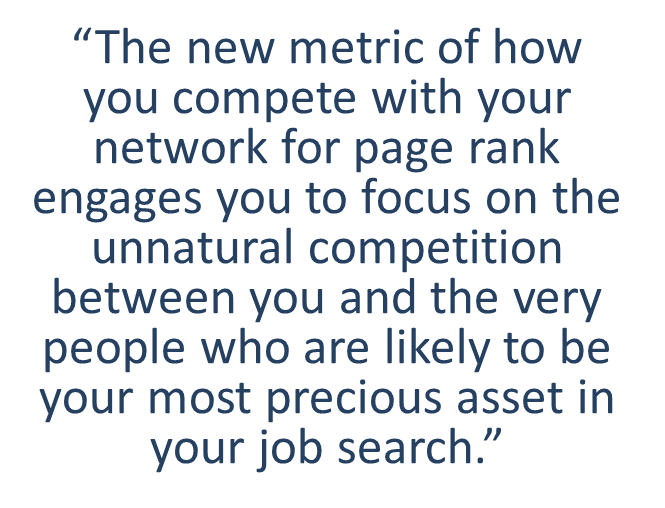 LinkedIn has pitted savvy job seeking strategy against rank for page views. LinkedIn, the Latest in Popularity Contests? Positioned to influence the hiring people with your skills and expertise. than 100 profile views from individuals unrelated to your area of expertise, whom you cannot help, or who cannot help you. If you focus on quality over mere popularity and cultivate meaningful connections, you inevitably will create real value out of your LinkedIn profile views. You will not be satisfied with the metric of LinkedIn profile view ranking as an end in and of itself. Amy L. Adler https://www.fivestrengths.com/wordpress/wp-content/uploads/2016/04/Five-Strengths-Logo.png Amy L. Adler2014-06-06 06:13:102014-06-06 06:13:10LinkedIn’s Gamification of Profile Views: More Harm than Good? LinkedIn’s race to the top for profile views is on. Where do you rank among your network? LinkedIn has rolled out a competition in the form of ranking profiles against your network that can help job seekers with their job searches. Use this new tools to bring your networking efforts online and to ensure that you are maximizing the LinkedIn platform’s opportunities–but do not get lost in the competition and lose sight of the true value of LinkedIn for your job search. LinkedIn’s latest update challenges its users to “beat” their network for profile views in a new feature called “How You Rank.” This feature positions each user against those of his or her network, showing the individual’s relative popularity as measured by page views. Just when you think that job search is not complex enough, that you are competing with a select group of elite executives for rare career opportunities, LinkedIn has found another way for you to compete. LinkedIn’s goal is to improve your engagement with the platform by having you regularly update and refine your profile. LinkedIn improves its value to you, and you improve your value to it, via your network. Your network will see that you have made changes and thus view your profile (driving your profile rank). You see improvement, and try to elevate your profile even more. The outcome, to your benefit as a job seeker, is that you polish your profile, improving your ability to be found, and LinkedIn improves its page views across the platform. Everyone wins. 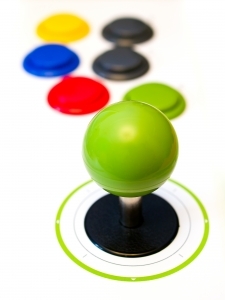 Can Gaming LinkedIn Harm You as a Job Seeker? On the face of it, no. 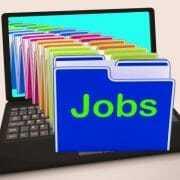 Updating your profile regularly absolutely can help you in your job search. There are probably multiple aspects of your profile that you have ignored to date to which you can add content. For example, do you have a patent? Make sure that they are recorded on your profile. Did you earn a new certification? Add that as well. Did you use all 2000 characters for your summary? Max that section out today. Add every project on which you have worked in the projects section. The list goes on. On the other hand, tweaking your profile every day has repercussions. To start, for each of the examples above, you need to decide whether your network needs to know about these immediately. It might make sense for you to update your profile with notifications turned off, so you do not inundate your network with small changes to your profile. More important, however, is that you do not let your message get lost in the medium. Changing your profile every day, or multiple times per day, is too frequent for you to see the results of your changes. I recommend that you do update your profile in one big push to start but make additional changes and measure your stats only weekly. That should be enough time for the changes you make to have an impact on your overall profile views. LinkedIn’s take on this feature is that it pushes all users to put their best social media presence out there, but I think there is more to it than that. The more engagement you demonstrate on LinkedIn, the more you will be actively engaging with others, which can only lead to better visibility and interaction for you as a job seeker. Also, always reach for quality connections and profile views over quantity. It does not matter whether you are getting 150 profile views each day if none of those individuals are in your target market, hiring leaders, your alumni, or anyone else who might be able to inform your job search strategy. Converting your functional resume into LinkedIn is possible, and if you’re one of the perhaps 1% of job seekers for whom the functional resume style makes sense, then this strategy is for you. You might have been frustrated by the fact that the LinkedIn interface does not lend itself to the functional format. 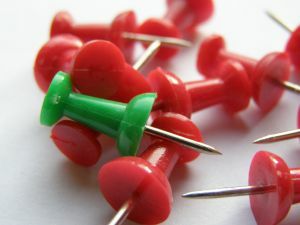 Use these strategic tips to get around this “lack” in the LinkedIn platform. The first thing you need to do is determine whether you truly need a functional resume for your job search. In most cases, if you believe your resume is failing you, it’s because your existing reverse-chronological resume does not successfully reflect your brand or your accomplishments. This is not a problem that converting to a functional resume can solve. It’s a strategic question that an expert executive resume writer can solve for you using a more standard format 99% of the time. If all else fails, try converting your LinkedIn profile to the functional format to stand out. However, if you believe that your career history and aspirations demand a functional resume format, read on to learn how to convert your functional resume to the LinkedIn platform. 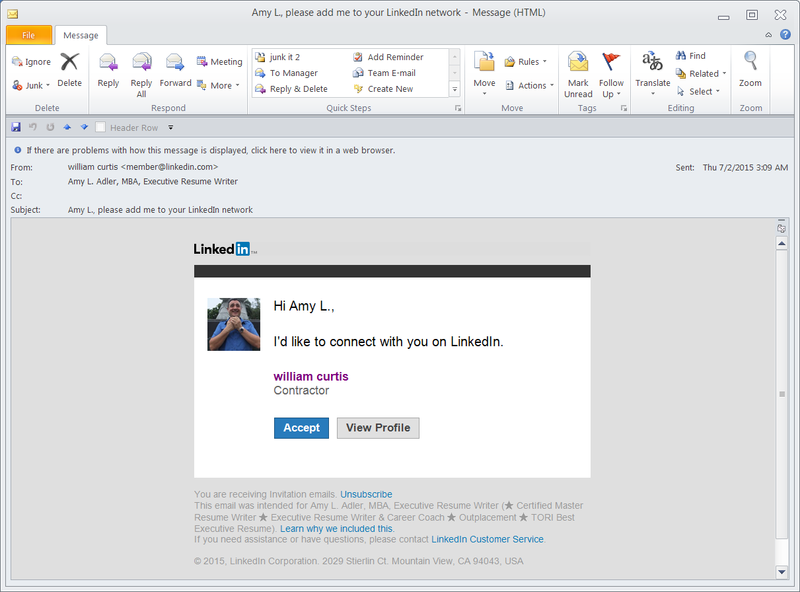 If this is your first attempt to change up your LinkedIn profile, you would be wise to save your existing content. In fact, it is always a good idea to save your LinkedIn profile to Word to text, because you might want to tweak it offline before uploading it. If this functional strategy turns out not to work for you because it is so nontraditional, you will want to have a copy of your prior profile to which you can easily return. Review your existing reverse-chronological resume and identify the functional areas of expertise you are representing. Group your accomplishments within functional headings under each job description, so your audience knows your pitch at the highest level. This makes for a great keyword strategy as well. Although you cannot get out from under LinkedIn’s requirements that you include titles, companies, and dates for each position you’ve held, you can tweak the plan to accommodate a functional strategy. Divide up each position’s accomplishments according to the functions you want to highlight. Then, put each “function” into its own job, along with your job title, company, and years. You thus will have multiple entries for each role you’ve held, but each area would focus on a different functional area. Remember, you have 2000 characters, including spaces, for each new “position,” so maximize your audience’s experience by using as much of the space allotted for your accomplishments within each function. After you load in your refreshed functional LinkedIn profile, keep track of your profile views. If you are getting more views and more contacts, then your profile revamp can be considered a success. If you are not getting any of the results you expected to get, you might wish to revert to a more traditional LinkedIn profile style. Do you know how to choose the right keywords for your LinkedIn profile? Start with your goal in mind: For what do you want to be known? What executive job are you seeking? With a few smart tweaks to your LinkedIn profile, you will see the number of your profile views grow. Your brand will dictate most of what goes into your profile. Certainly, your LinkedIn profile will contain your career history. But the way you craft it and the keywords you choose can help propel your profile to the top of the search results for the phrases on which you want to be found. Of course, the details of what this person has done in his career are going to be much more extensive, but these are, broadly speaking, the categories of his expertise. So he would be wise to include these phrases in his headline, his summary, and in his experience sections. At the same time, he might be targeting a COO role. So he might collect several job descriptions of the COO role in his industry. These might require specific experience and expertise; his experience and branding should reflect exactly what the hiring executives in his target companies are seeking in their next hire. Although the LinkedIn profile is not a direct copy of the executive resume, elements of key experiences (less private corporate data that should never be publicized on LinkedIn) should be evident. If you are not sure whether your profile is promoting the right keywords, create a word cloud as a visual map of your LinkedIn profile. In the example above, the word cloud of the profile should show words like “financial” and “strategy” more prominently than, say, marketing or sales, words that are not in our keyword list. If you find that your keyword strategy has failed, you will need to rewrite or edit your profile until you are confident that the keywords you have chosen for yourself are the ones that LinkedIn will understand to be your branding. LinkedIn is always going to be primary source of networking contacts and research for executive job seekers. But do not forget Twitter, Google+, and Facebook for one unique reason. If you are not using these three microblogging tools in your job search, you are missing out on a critical opportunity. Read on to learn why. If you are using LinkedIn correctly, your privacy settings are adjusted to give you visibility. That means that your profile is visible, and your photo and name show up in the list of people who have viewed an individual’s profile. You are out there in full force, and people can see you. In fact, that is the point of LinkedIn–to see and be seen. However, Twitter, Google+, and Facebook are not subject to the same rules concerning visibility. On the one hand, if you are on these social media platforms, you are visible to anyone else with an account. On the other, if you visit someone’s profile, or follow their hashtags, or read all about them in their background information, they do not see that you have visited them. This might seem like a matter of small importance, but it is truly not. You get to use these tools to do as much research as you need to, on whomever you need to do it, and you leave no trail–no evidence of your having visited the profile once, twice, or ten times. Thus, you get to do the research you need completely anonymously. Take advantage of this unique opportunity to research your potential networking contacts anonymously. Then take your research to the more traditional networking platform, LinkedIn, armed with more knowledge and understanding about your target contact’s needs, experiences, and background. 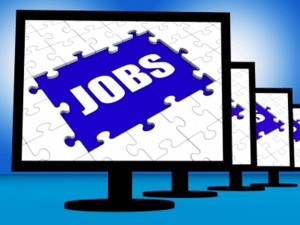 Stop wasting hours searching for jobs online. If you are spending more than 10% of your time searching online for jobs, you are wasting your time. Use these cool tools to automate the search process, so you can focus on networking into the right role. Put the Internet to work for you–get job alerts and company information emailed directly to your inbox, automatically! Setup an application called “ifttt” — “If This Then That” — to send you an email whenever you are mentioned on Twitter. Sending an email alert when your target company is mentioned in The New York Times. Sending an email alert when your name is mentioned on Google+. Track all new Twitter followers. Email tomorrow’s weather, so you know whether to bring an umbrella to your interviews. And anything else that you need to know or can think of. Create an Evernote page with saved hashtag searches on Twitter. 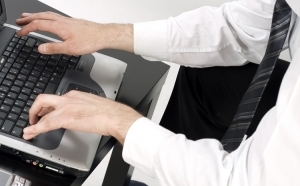 Be as creative and detailed as you need to be to monitor your online presence effectively. Sign into your Google account, and visit http://www.google.com/alerts. Where you want the alerts sent. The name of an executive with whom you hope to interview. The names of companies you are targeting. And anything else that you need to know to enhance your job search. Let Indeed.com, Glassdoor.com, Monster.com, Dice.com, and LinkedIn do the legwork for you. These automated alerts (sometimes called “agents” or “saved searches”) will generate the results you need without your having to visit each site every day. Considering the fact that you should be spending more time on human connections than on scouring the job boards, this is an easy method to ensure you are not missing any good opportunities without requiring you to commit endless time to the process. And any other specifics of your target job that you want to know about. Setting up alerts will save you time and frustration in your executive job search. If you need assistance in setting up these alerts, or in any other aspect of your job search process, please call Five Strengths.